When a headache strikes, I reach for the nearest painkiller. 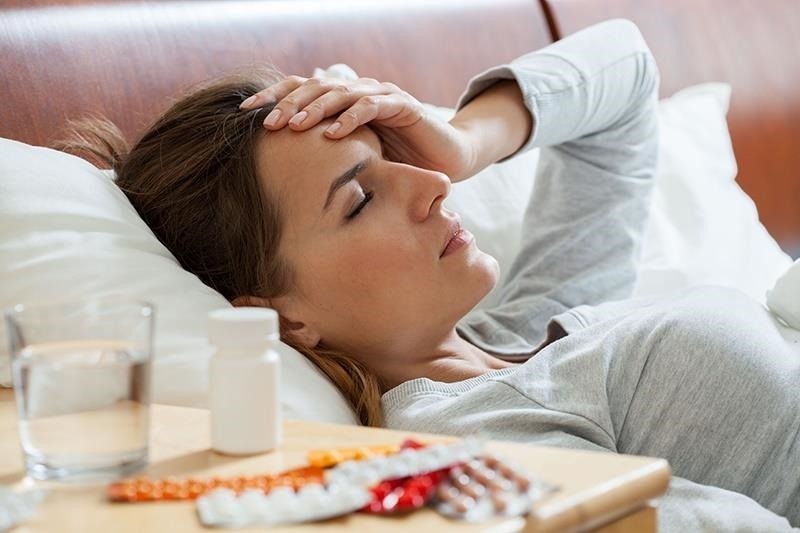 Forget closing my eyes, laying down, or even applying an ice pack—I seek the quickest and most immediate relief possible, and normally that comes in the form of pills. However, fast relief can be found from another, more natural source: herbal beverages. So if you're tired of popping pills when you have aches and pains, try some of these herbal drinks out instead. Turmeric is more commonly found in spiced dishes like curry, but it's a powerhouse herb that can reduce inflammation throughout the body and soothe the pain caused by ailments like arthritis, fibromyalgia, and severe headaches, as WebMD notes. It's also good for menstrual cramps. Boil the water, then add the fresh roots and simmer for 15 minutes. Afterward, strain the debris and add the other ingredients. Feel free to top it off with honey if you'd like to sweeten the taste. Or, try out this recipe by The Kitchn, which adds in milk and syrup for a frothier tea. Peppermint tea has a stomach-soothing reputation—this minty drink is the best choice if you're suffering from an upset stomach, gas pains, or bloating. 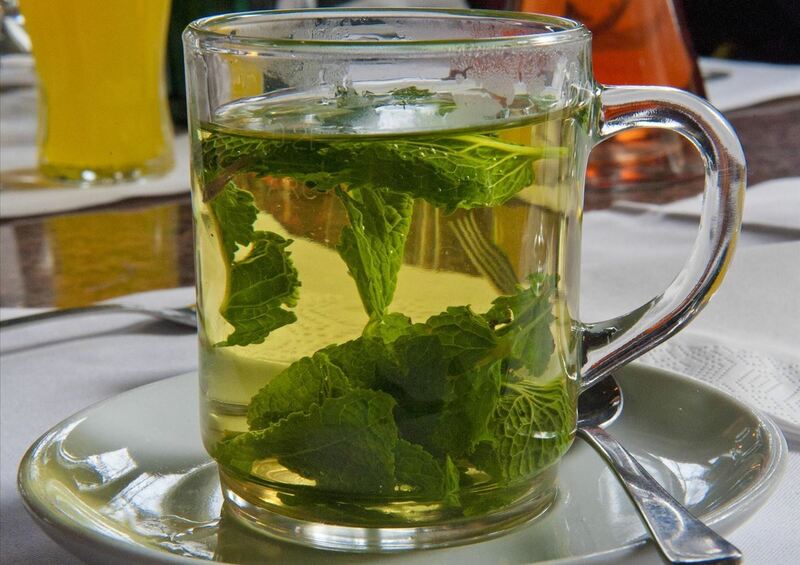 It's the peppermint tea leaves themselves that help relax your muscles, allowing your body to release any trapped gas. The University of Maryland Medical Center suggests sipping peppermint tea when you need to find relief for your digestive system. Creating your own peppermint tea is easy—you can grow your own peppermint leaves, dry them, and steep them in hot water. Or, if you're looking for an easier solution, there are countless options for pre-made peppermint tea bags on Amazon. Boil the water, then steep the leaves for 10-15 minutes. Strain the leaves, add the honey, and stir. Lastly, add the other ingredients and enjoy. 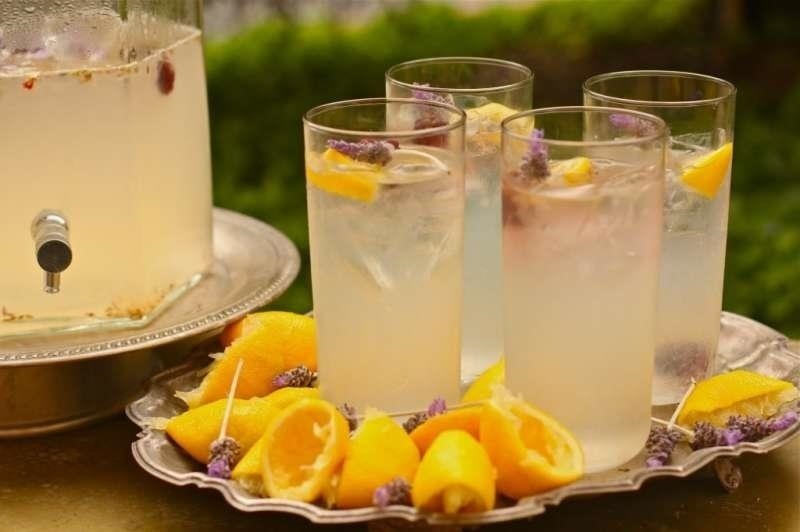 You can try a less fruity version as well, if you'd like more rosemary than raspberry flavor with Food Network's rosemary-infused lemonade. 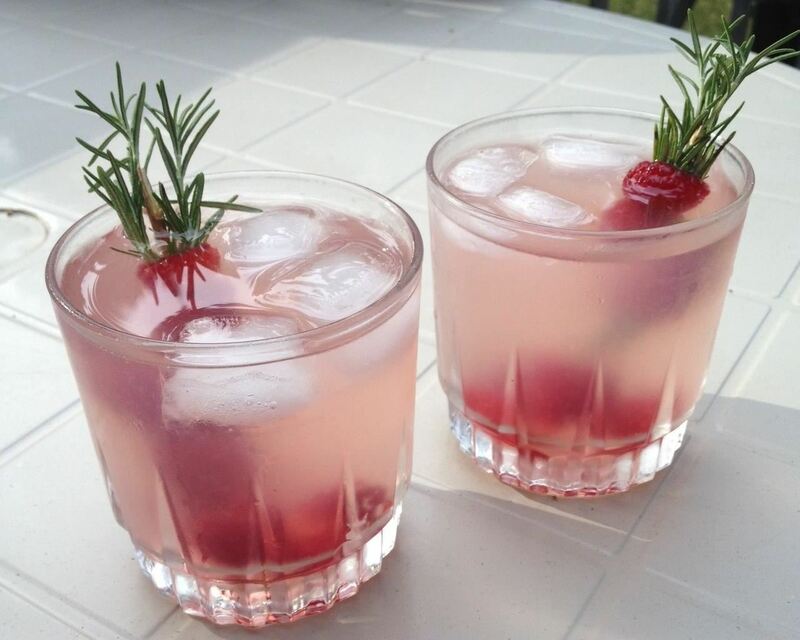 Stick some fresh rosemary sprigs in the pitcher to "spike" your drink with the herb, and you'll reap the same benefits. Whether you include it in your turmeric tea or sip it alone, ginger is another excellent herb—but it works best to relieve nausea as the central ingredient in your cup. According to WebMD, ginger is a fast-working aid when you're suffering from an upset stomach, motion sickness, or even flu symptoms like vomiting and diarrhea. 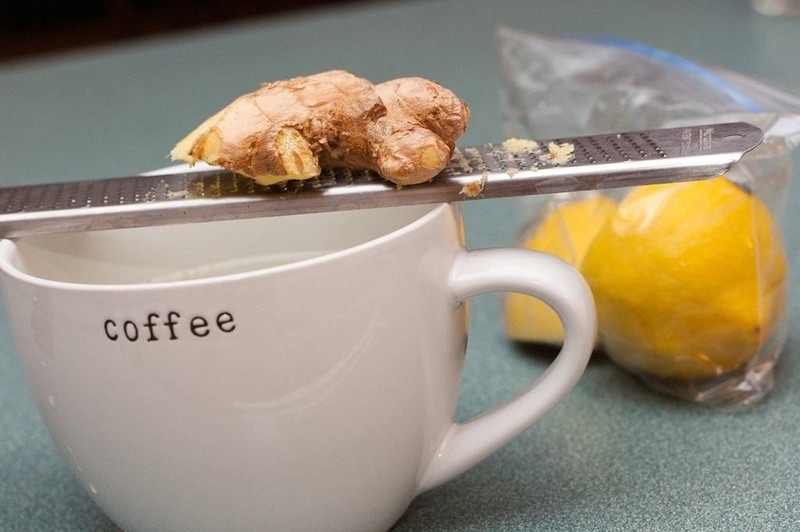 All you need is water, a piece of ginger root, and lemon (if you'd like to add it to your tea). Heat the peeled ginger root and water until boiling, then remove the root—and your tea is done, ready to relieve your upset stomach. You can also create a strong brew of ginger tea by placing fresh slices of ginger in a tea infuser basket, and allowing it to steep for about 5 minutes. 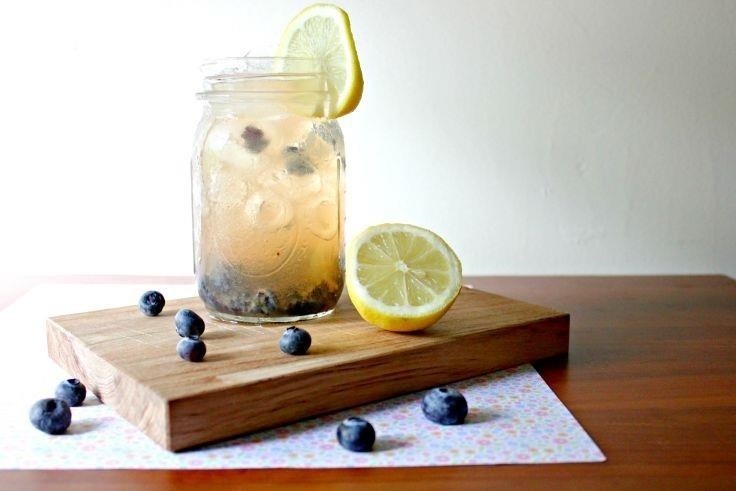 Another sweet and sour way to solve your headache pains is with lavender lemonade. By combining the juice of lemons, water, raw honey, and lavender essential oil, you can sip your headache away. Lavender is known to lower blood pressure, help achieve relaxation and sleep, and relieve the intense pain of headaches. Spicy drinks might not sound the like smartest idea when your throat is already sore, scratchy, and in pain; however, according to Fitness Magazine and Earth Clinic, spicy cayenne pepper is exactly what you need to stop a sore throat. It's the capsaicin in cayenne that brings relief: it's a natural anti-inflammatory and antibacterial ingredient. When you drink a cayenne-spiked beverage, the capsaicin helps to both quell inflammation in the throat while also clearing any congestion in your chest. Combine these ingredients together, then give the glass a good shake and sip. 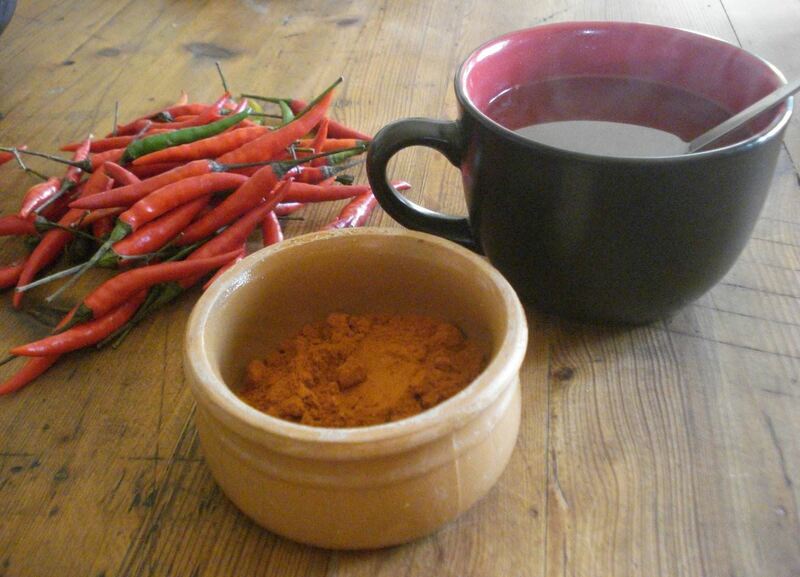 You can also make a simple drink by dissolving cayenne pepper in water and gargling with it before swallowing. 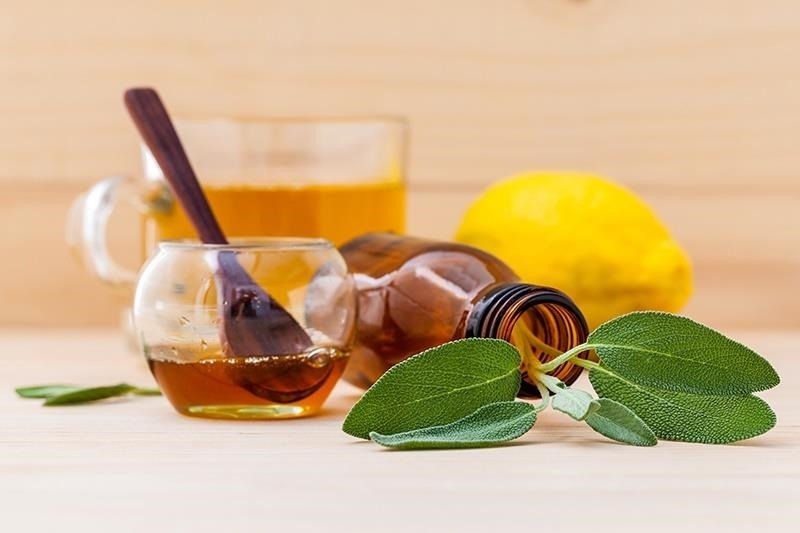 Medical researchers have found that sage and thyme may be the herbal keys to relieving congestion; combine these leafy herbs with honey, water, and lemons, and you can breathe easier while also coughing less. 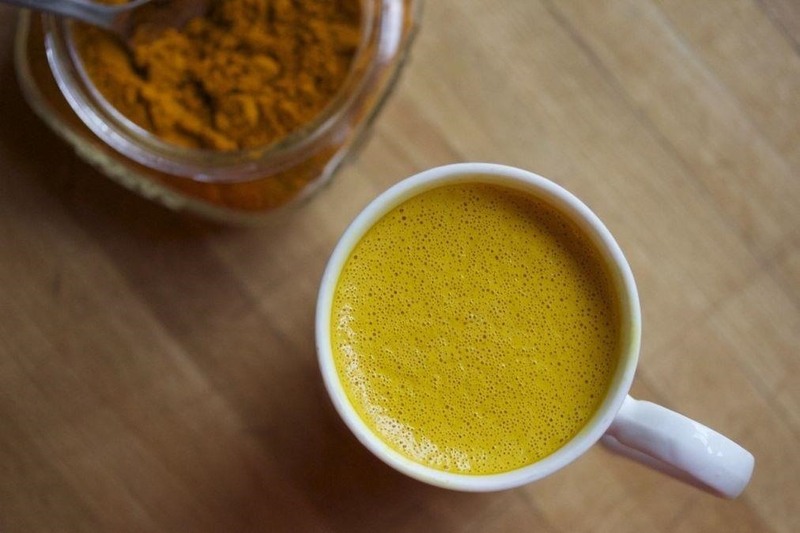 According to Whole Living, Dr. Tieraona Low Dog of the University of Arizona's Program in Integrative Medicine recommends this combination herbal brew for cold sufferers. Thyme works to reduce congestion in the chest and clear the sinuses, while sage helps the immune system grow strong again. Pour hot water over these ingredients, then steep for about 15 minutes. Strain the debris, then add the juice of ½ lemon and 1 Tbsp. of honey; goodbye, congestion! Apple cider vinegar has become a popular home remedy—yet it's the digestive benefits of this sour liquid that make it a good choice when you need relief, according to WebMD. Apple cider vinegar increases the healthy bacteria living in your digestive tract and stomach. However, if you're going to turn to an apple cider vinegar drink, make sure to use the unfiltered variety, which contains probiotics. If you're constipated or struggling with digestive issues, try the following ACV drink recommended by Shape: combine 2 Tbsp. of unfiltered apple cider vinegar with a glass of water or fruit juice. Feel free to add fresh fruit as well. Just be careful—vinegar is very acidic, and should only be consumed in small amounts. You might think a hot toddy is nothing more than a boozy way to enjoy a hot drink over the holidays. However, it actually offers quick and effective relief for aches that come with colds, soothing coughs, and sneezes. It's the alcohol content that makes this drink effective: the bourbon or whiskey you choose helps to dilate blood vessels and improve your mucus membranes' ability to fight off the current infection. Try one of the four recipes offered by Medical Daily, one of the ones recommended by Wild Turkey, or one you've used for years. 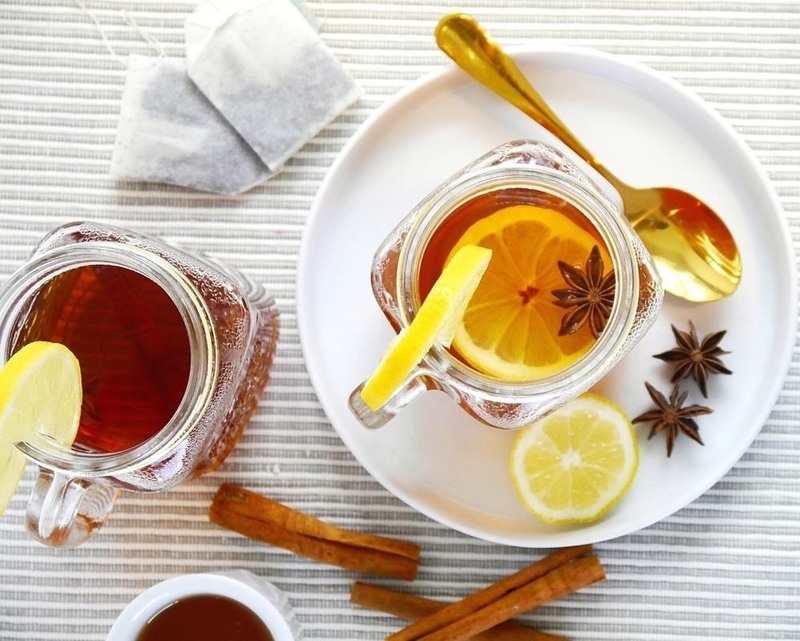 With a combination of honey, dark booze, and spices like cloves, your cold won't feel so terrible after a few sips... and your mood will certainly lighten. If you're already a fan on hibiscus tea, try a cup of it over ice the next time you have an upset stomach. As WebMD states, hibiscus soothes stomach irritation, fights off a loss of appetite, and even acts as a light laxative to empty your stomach of whatever's bothering it. The flower also has a great flavor and makes for a delicious tea. 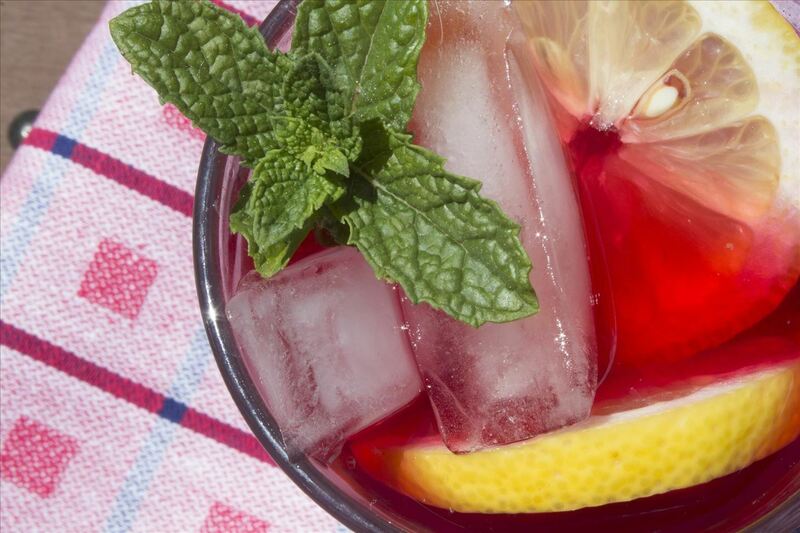 Try Eating Well's hibiscus pomegranate iced tea recipe, and get your stomach back to normal. Combine either loose leaf hibiscus tea, or hibiscus tea bags, with boiling water, cold water, and one cup of pomegranate juice. Together, the ingredients will blend into a sweet, chilly iced tea that is both helpful and tasty. While it's important to note that none of these natural remedies are 100% guaranteed to make your sickness disappear, they will aid in making your symptoms a little more bearable while the sickness runs its course. It's important to rest when you're not feeling well, and these herbal teas will definitely make it easier to do so.